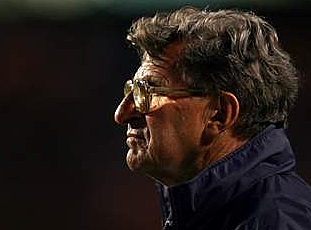 Former Penn State coach Joe Paterno has a treatable form of lung cancer, according to his son. According to the American Cancer Society, lung cancer is the second most common cancer in both men and women in the United States. Paterno was fired last week in the aftermath of shocking allegations against former defensive coordinator Jerry Sandusky, charged with sexually abusing eight boys over 15 years. He initially announced his retirement effective at the end of the season the morning of Nov. 9 before university trustees fired him about 12 hours later. The lurid scandal tarnished the reputation of a football program that once prided itself on the slogan "Success with Honor." The Hall of Famer's 409 career victories are a Division I record. Also, in addition to this news, the New York Times is reporting that The Second Mile, Jerry Sandusky's former organization aimed at helping at-risk children, is folding. This after the allegations that Sandusky sexually abused eight boys over a 15 year period, some of them reportedly from the Second Mile program.